Happy Halloween! 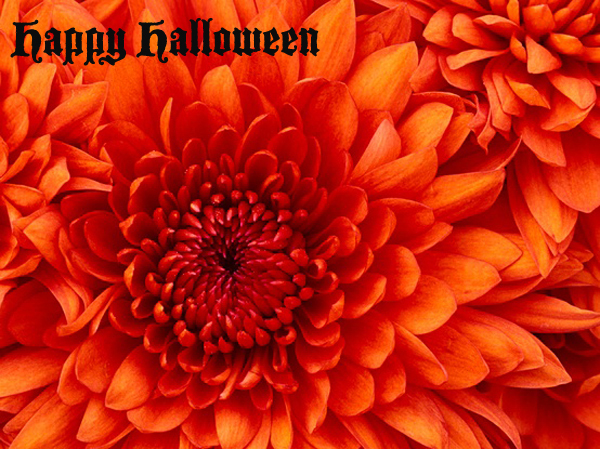 I hope its a wonderful and spooky day for you! Little Miss A. will be a Flamenco dancer this evening. It entails large earrings so that is what we are really excited about. Next Halloween I'm totally making these pumpkins. And you want to know what the best butternut squash (I consider it a pumpkin!) recipe I have ever tried is? This one. Everyone I serve it too raves about it. I have a friend who became addicted to it and made it over and over again for weeks! TRUST! You have to post a picture of your daughter! That gratin looks so good! Little Miss A the Flamenco dancer! I love it. Pic please missy? Those pumpkins were too cute. I may have to change my non Halloween celebrating ways and paint a pumpkin or two with the lil man as he gets older. Here's to a fab day. I want to see a Halloween photo! How adorable it sounds! Awww what a cute idea for pumpkins! Wish I would have seen this sooner! Have fun tonight! Oh my goodness a flamenco dancer? Love it! I want to see a pic! Those pumpkins are awesome! I'm totally going to try that gratin!